Waistbelt, pouches, bandolier, waterbottle & sling, haversack and carrier. 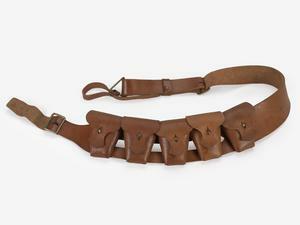 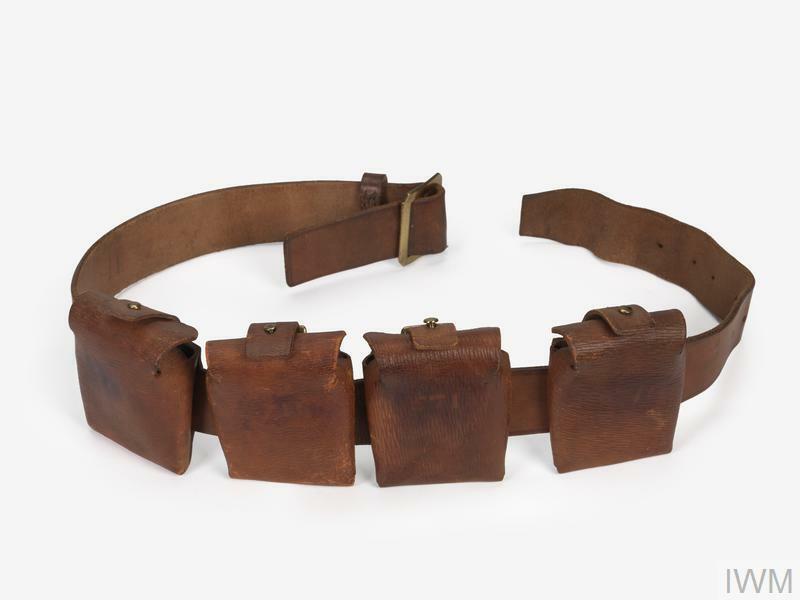 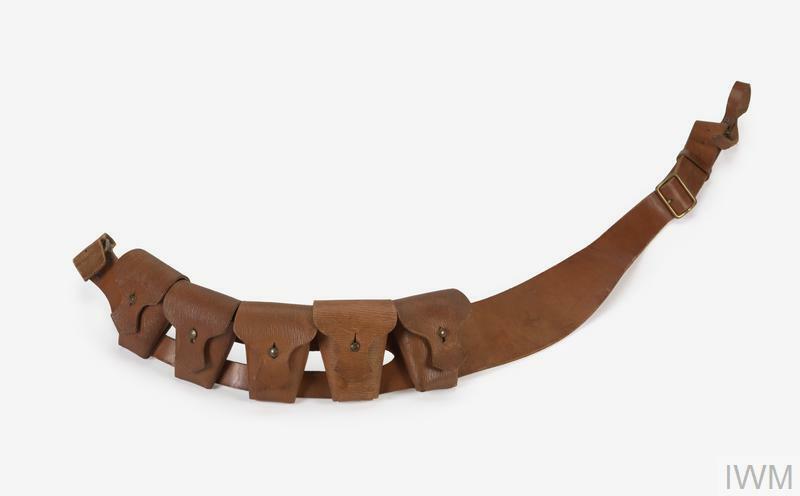 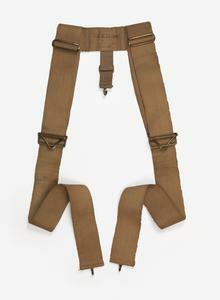 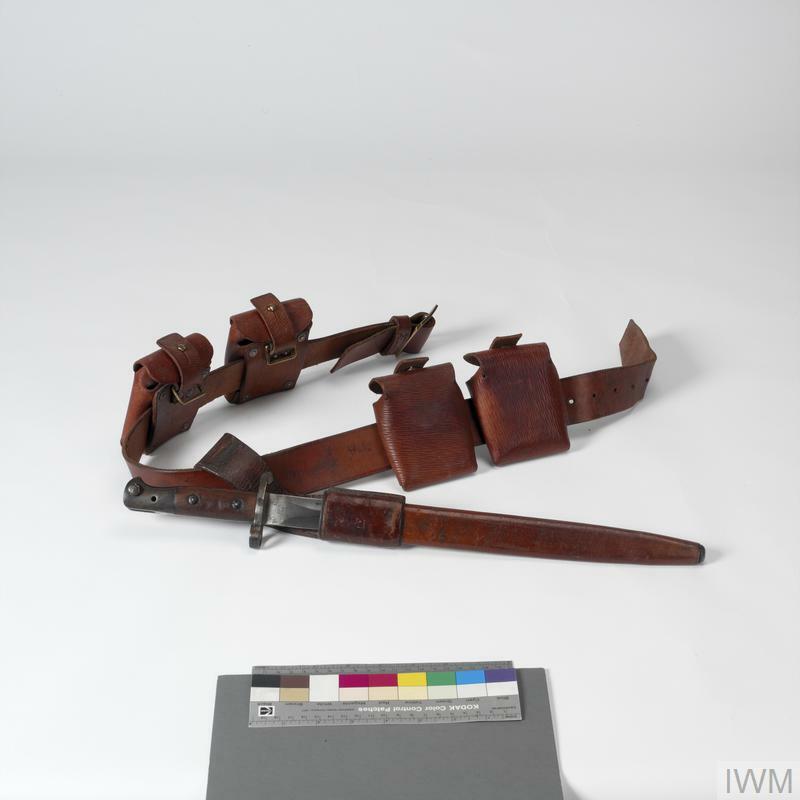 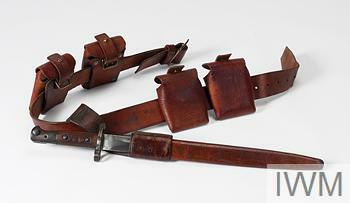 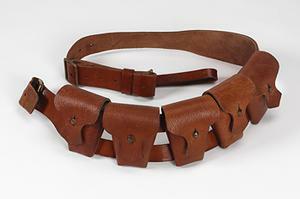 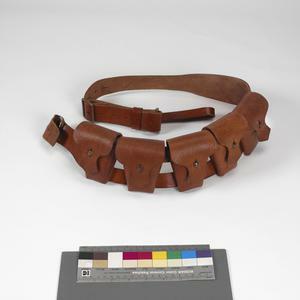 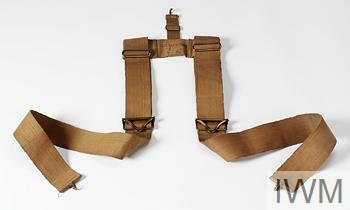 1903 Pattern bandolier equipment comprising: a brown leather waist belt fitted with open brass-pronged buckle; four brown leather rifle ammunition pouches are fitted to the belt. 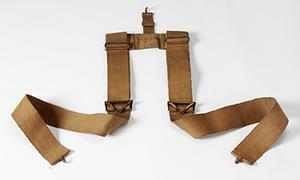 A brown leather bandolier, composed of a broad strap with five rifle ammunition pouches sewn to it. 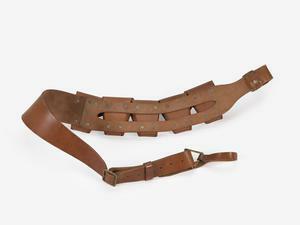 The strap features an open brass-pronged buckle. 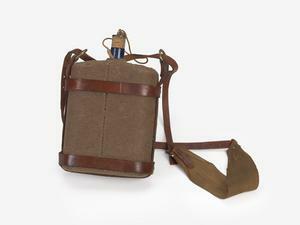 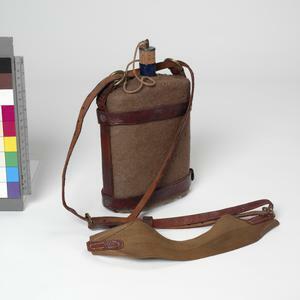 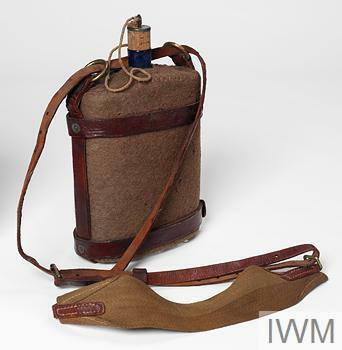 A rectangular metal waterbottle covered in khaki-coloured felt, secured in a brown leather carrying harness and sling. 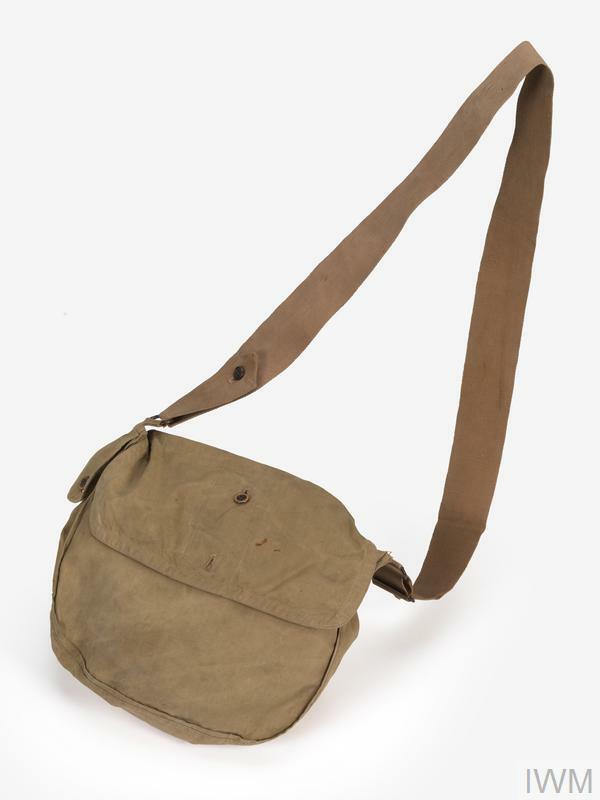 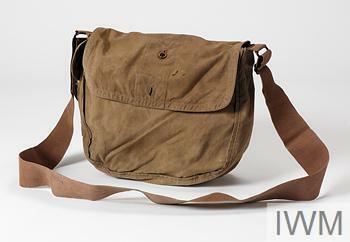 A khaki-coloured canvas haversack, fitted with a shoulder strap. 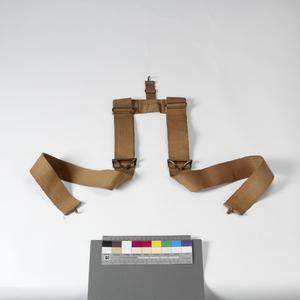 A canvas web coat carrier, fitted with brass quick-release buckles, and consisting of two vertical straps connected by a single horizontal. 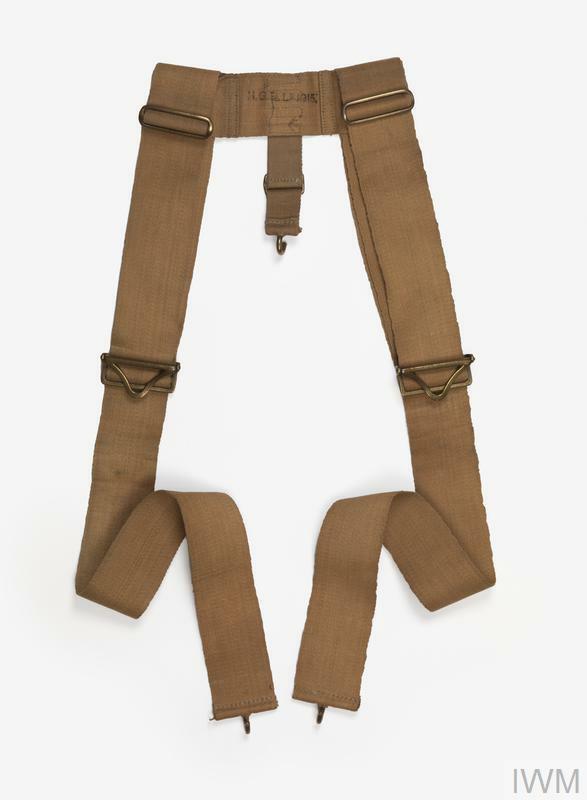 The two verticals connect to two of the leather ammunition pouches (fitted to the front of the soldier on the waistbelt) via two fitted brass hooks. The hooks engage into two brass 'D'-rings located to the reverse of the pouches. 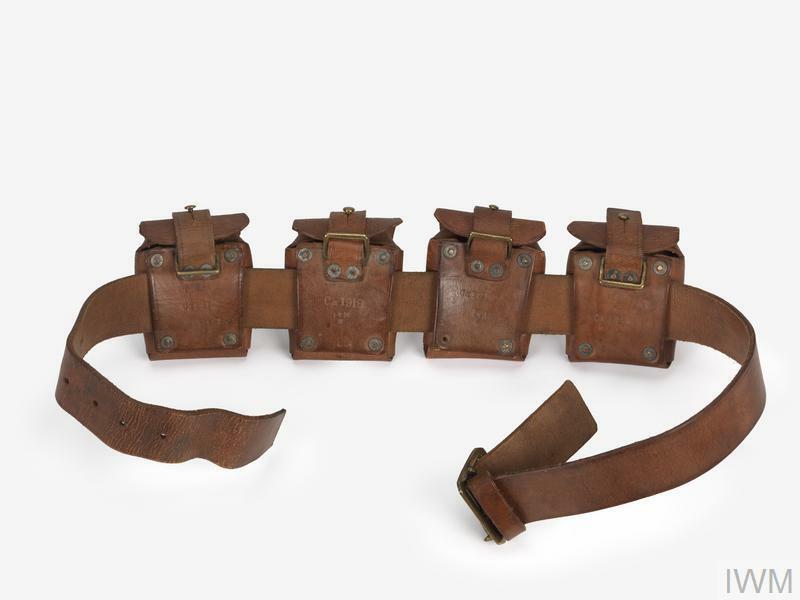 The 1903 Pattern bandolier equipment evolved as a result of criticism made of the infantry's buff leather Slade-Wallace equipment used during the Anglo-Boer War, 1899-1902. 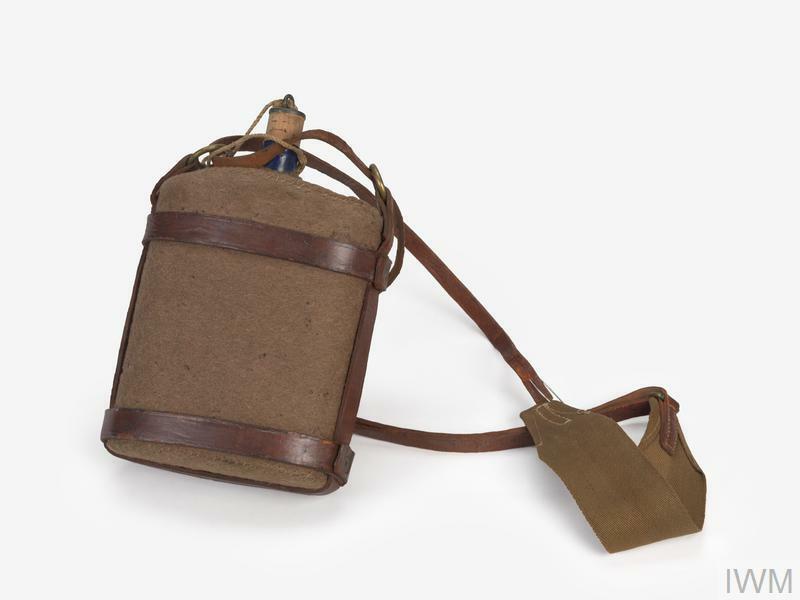 Among other irritants, the Slade-Wallace ammunition pouches were designed to contain cartridges both in paper packets and loose rounds (the then service rifle was fed by loose cartridges directly into the weapon through to the detachable magazine, one at a time). Often in the field these loose cartridges would fall out of the pouch, only to be salvaged and used later (sometimes with great effect) by the Boers. The post-war adoption of rifles converted to be fed by five-round charger-clips (copying the Mauser system used by the Boers) further necessitated a new form of carrying pouch, which could accommodate ammunition in charger clips. Doing away with the uncomfortable and complex valise system, the brown leather 1903 bandolier equipment was lighter and more practical than its predecessor. 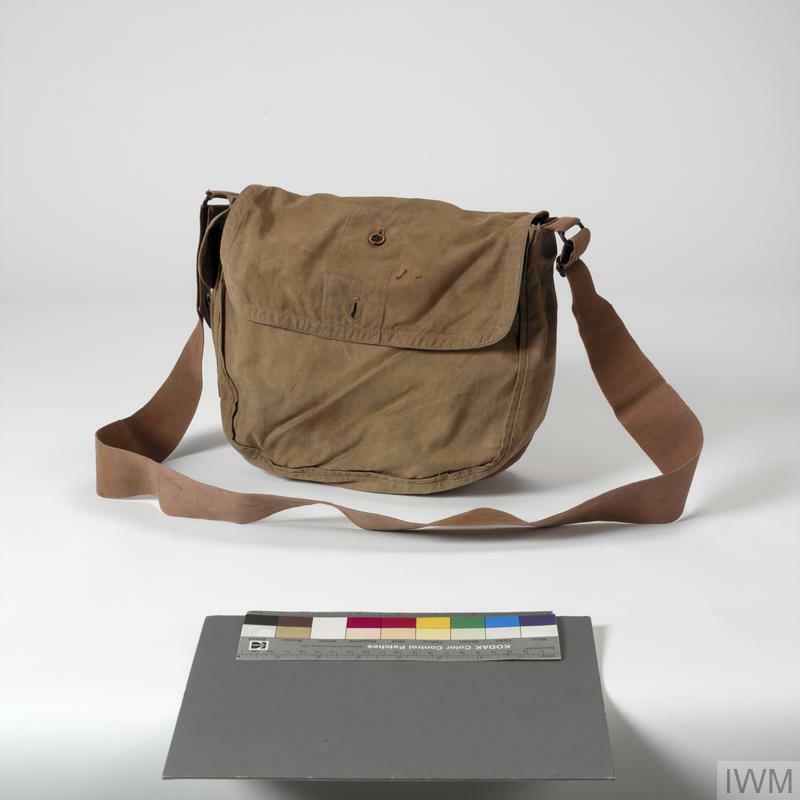 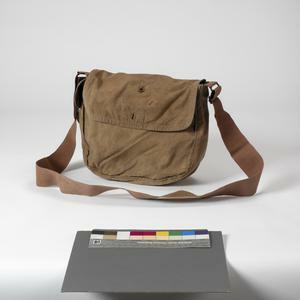 However, the soldier was very limited in what he could carry, there being no provision for a pack larger than the canvas 1903 Pattern haversack, worn at his left hip. 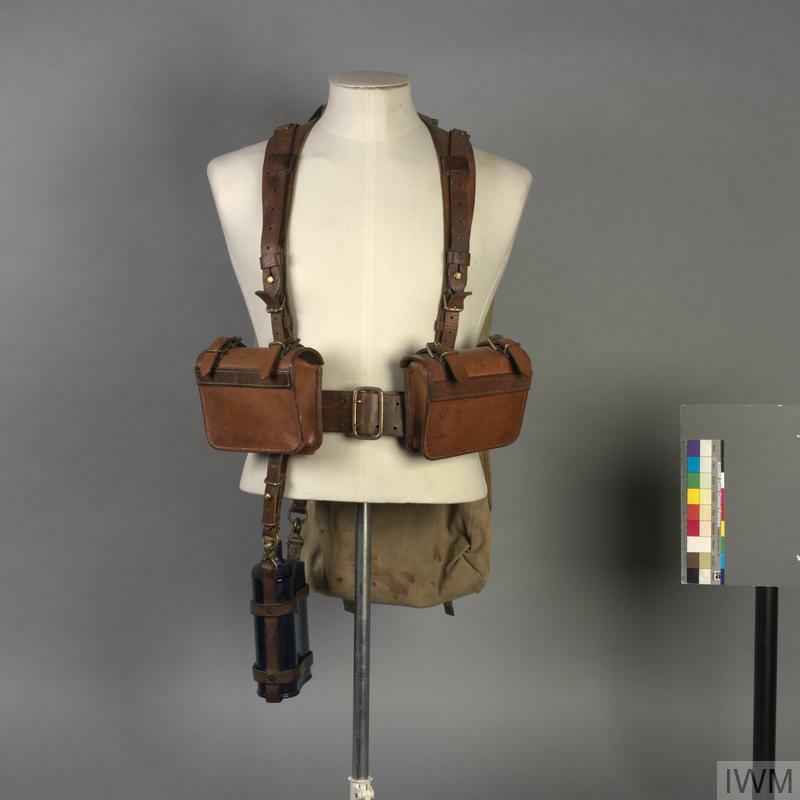 Again, the fully loaded equipment placed much stress on the wearer's chest and shoulders, caused by bandolier, waterbottle, and haversack straps. 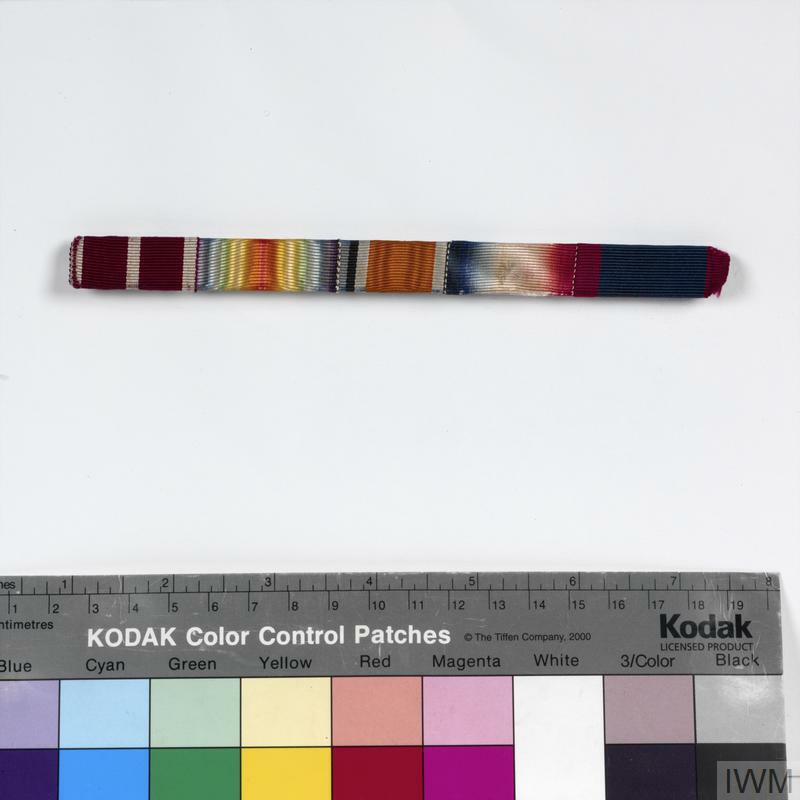 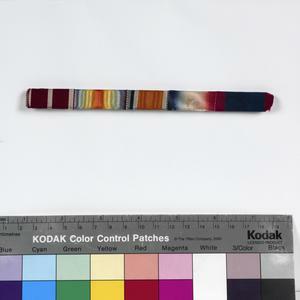 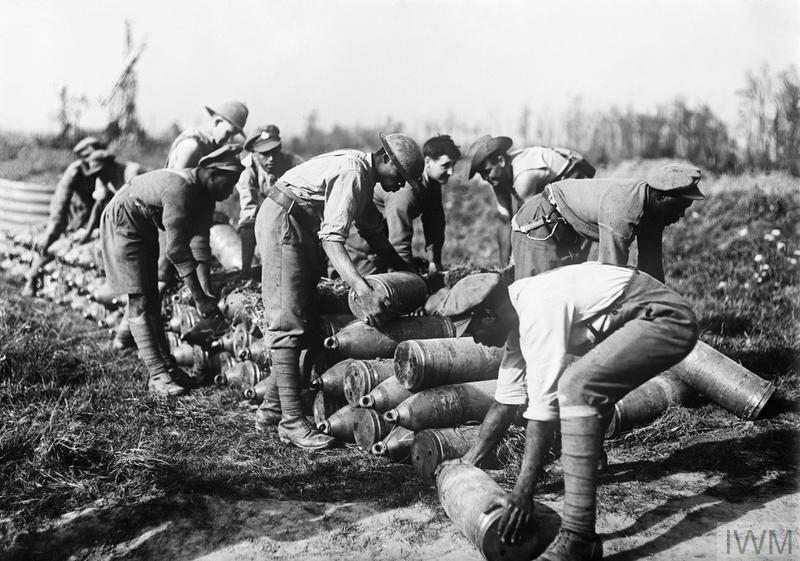 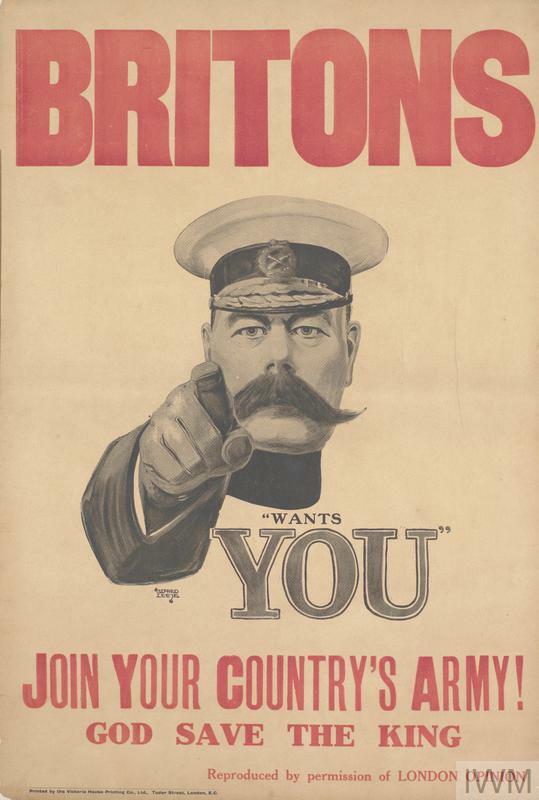 Although succeeded by the 1908 Pattern web equipment, the 1903 bandolier system continued in service for many years (mainly with second-line troops, although in great quantities at Gallipoli and Mesopotamia during the First World War). 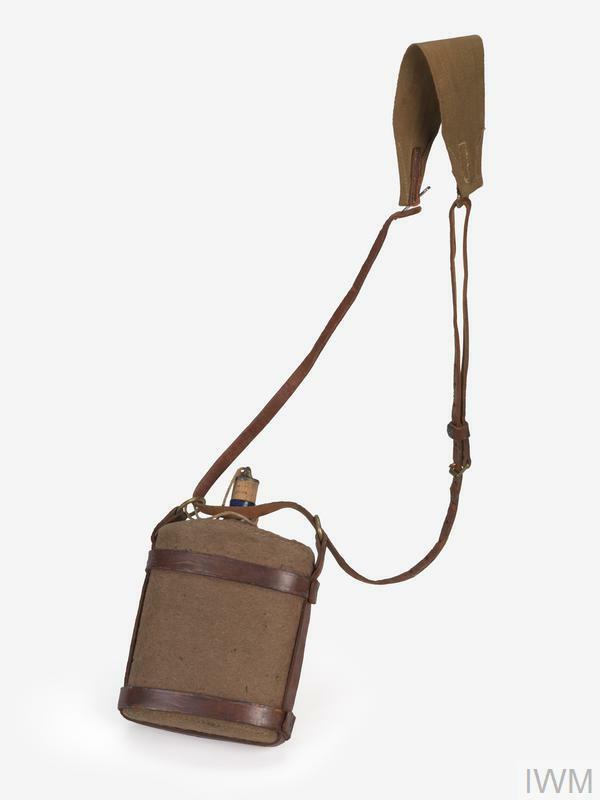 Being by and large practical and useful, elements of the equipment were still to be found in widespread use with both cavalry and infantry throughout the Empire.